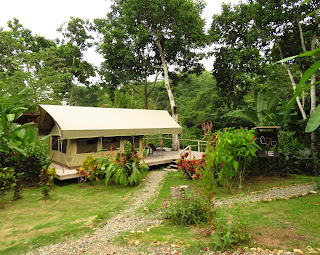 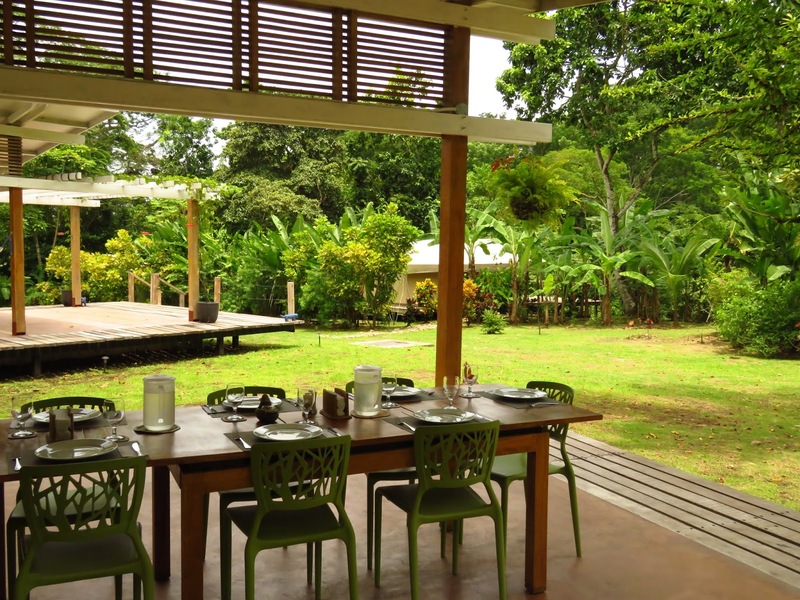 The fabulous Canopy Camp in lowland Darien was to be our base for 4 glorious days. The camp is designed just like those superb African Camps you may have stayed at with 8 roomy safari tents, with hardwood floors, solar lighting, each has a large deck looking out into tropical forest and there are hot and cold water bathrooms attached to each tent. 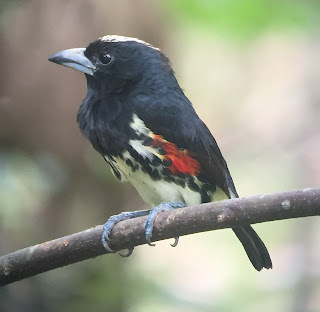 Of course the birding is as good as we expected and speciality birds in and around the lodge grounds included Double-banded Graytail, Barred Puffbird, a pair of Great Green Macaws that flew over, the most showy pair of Spot-crowned Barbets imaginable that were building a nest beside tent 8. Click this link to see a U-tube Video taken through an iPhone 6 - Amazing! 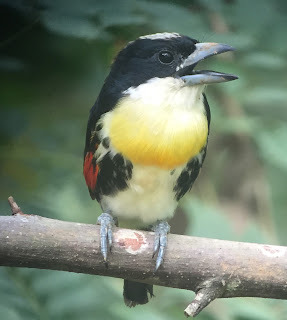 In the forest we watched both Golden-headed and Golden-collared Manakins while flowering bushes and feeders attracted hummingbirds including Pale-bellied Hermit, Long-billed Starthroats, Sapphire-throated Hummingbird, Blue-chested Hummingbird and the occasional Violet-bellied Hummingbird. 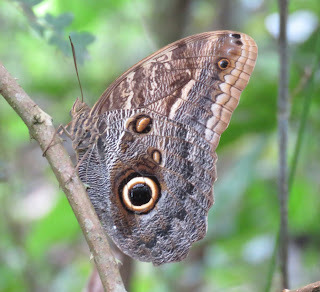 There were countless great butterflies in the gardens and several nice looking dragonflies and damsels on the forest stream. 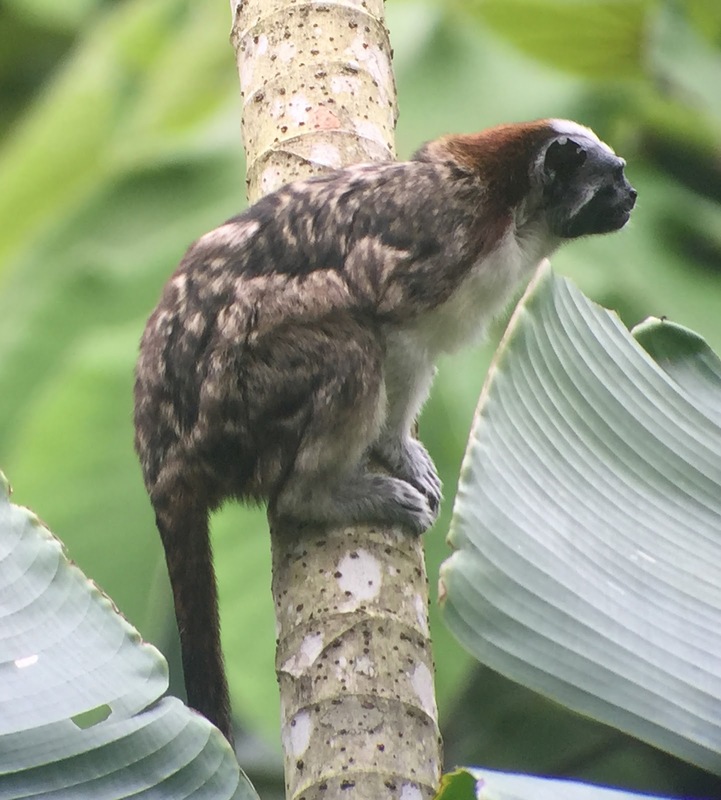 A group of Geoffroy's Tamarins cam e through camp and showed nicely while Mantled Howler Monkeys could often be heard deep in the forest. A couple of trips away from the lodge added a nice variety of species including more Double-banded Graytails, Sirystes, Blue-and-yellow Macaw, Red-billed Scythebill, perched Black-and-white Hawk-Eagle, Grey-cheeked Nunlet, Black Antshrike, 3 White-necked Puffbirds, Pied Puffbirds, Golden-green and nesting Spot-breasted Woodpeckers, great views of Bare-crowned Antbird, Moustached Antwren, Black-faced Antthrush, White-headed Wrens, White-eared Conebill, and a few Black Oropendolas. 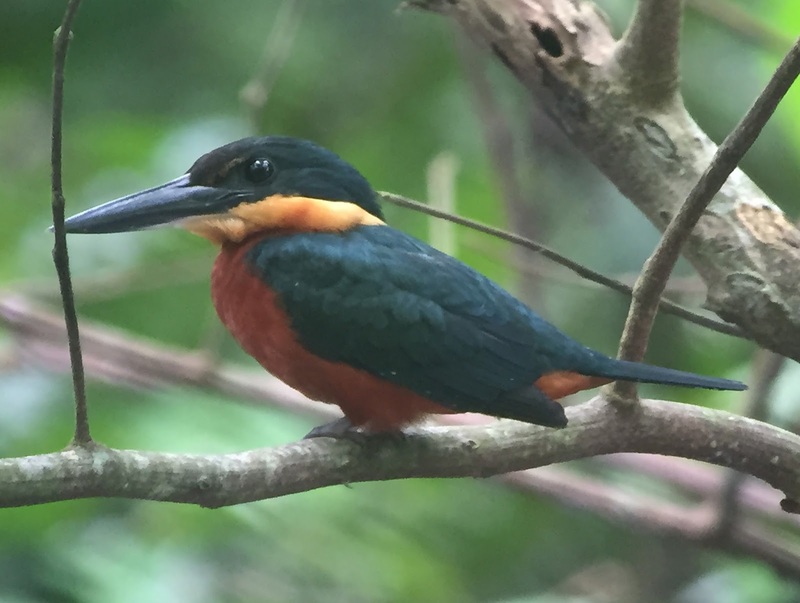 A boat trip and walk in the wetland forest produced the rarely seen Dusky-backed Jacamar, plus a beautiful Agami Heron and great looks at both Green-and Rufous and American Pygmy Kingfisher, as well as Royal Flycatcher. 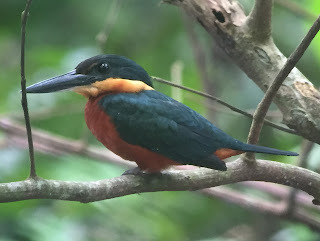 A fabulous stay in a wonderful place with some really special birds. 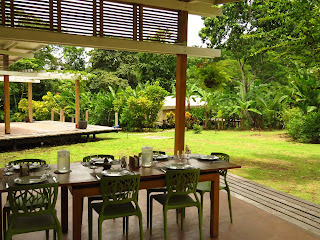 I thank the Canopy Family for making such a paradise in the jungle and their warm hospitality. 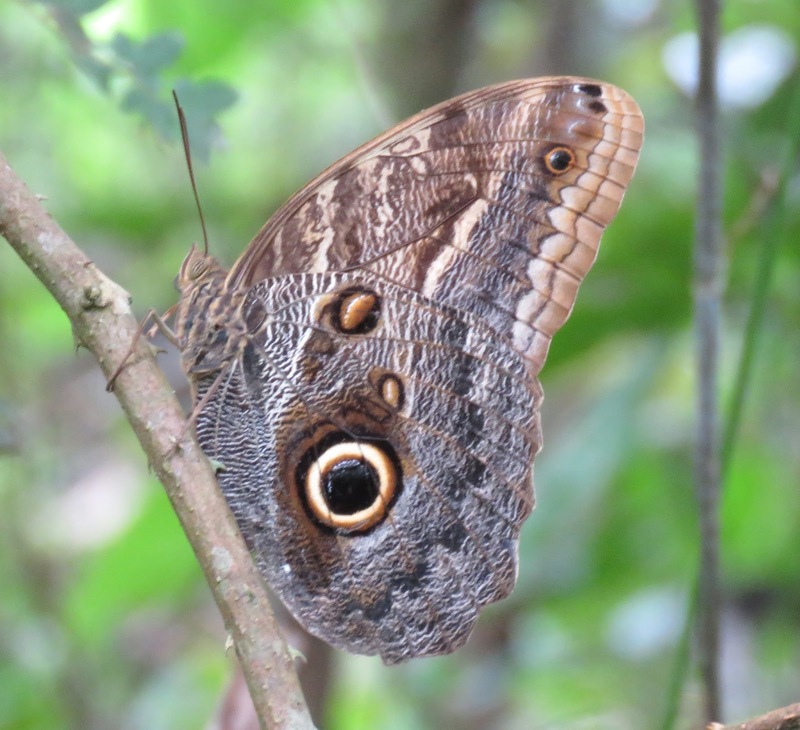 Sapayoa - Do or Die !!!! !